Bungie's Destiny promised more than it delivered upon launch in September 2014. A so-so story was overshadowed by fun Fireteam adventures with friends on PSN and Peter Dinklage's infamous Ghost. Dinklage was ultimately replaced by Nolan North best known for playing Nathan Drake in the Uncharted series. Subsequently, Destiny has evolved with expansion packs, but I stopped playing after completing the original campaign and never went back. 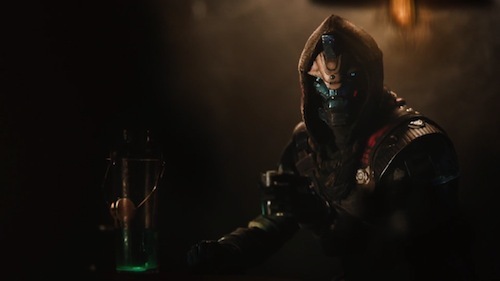 Earlier this week Bungie released a teaser trailer for Destiny 2 featuring Cayde-6 (Nathan Fillion) and it was comedy gold. Could this be the sequel fans are looking for? On Thursday Bungie released a full trailer and announced the release date for the upcoming sequel. 8th September on PS4, PS4 Pro, Xbox One and PC. As before, PlayStation owners have access to exclusive content before anyone else. Time-limited exclusivity remains a point of contention within the gaming industry. I think it's a mistake across all platforms, but that's business for you. Bungie won't be revealing any gameplay footage until 18th May. E3 will only be weeks away and presumably the developer will appear on the PlayStation stage. There are several editions of Destiny 2 available for pre-order and I've already pulled the trigger. Because Beta. Are you looking forward to Destiny 2 and the promise of a more story focussed adventure? Does it matter that loot won't carry over from the original game? Let me know in the comments below. EA has officially announced Star Wars Battlefront II. A trailer will premiere in April during Star Wars Celebration. This will be livestreamed from the convention in Orlando along with a panel including in-house developers Dice, Criterion and Motive. Star Wars Battlefront was roundly criticised for lacking a single player campaign, but established an enduring multiplayer following. So, that's been addressed in the upcoming sequel with EA interacting with the Lucasfilm Story Group. I was a critic of Star Wars Battlefront at launch and promised myself I wouldn't buy it! It became my most played game of last year, well until my PlayStation Plus subscription lapsed. The new game is expected to be released for PS4, PS4 Pro, Xbox One and PC this November prior to Star Wars: The Last Jedi. The previous game coincided with The Force Awakens and included DLC based on the movie in 2015. It's a safe bet there'll be The Last Jedi DLC. 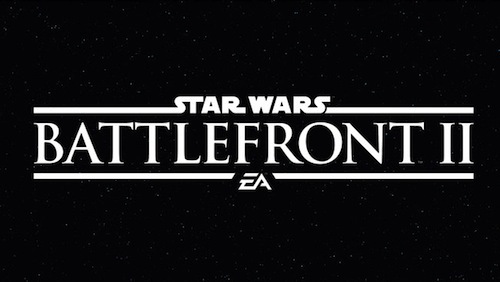 Be sure to subscribe for more coverage of Star Wars Battlefront and Star Wars Celebration. Your friendly neighbourhood Spider-Man's latest adventure just became my second most anticipated movie of 2017 behind The Last Jedi. Because Star Wars. 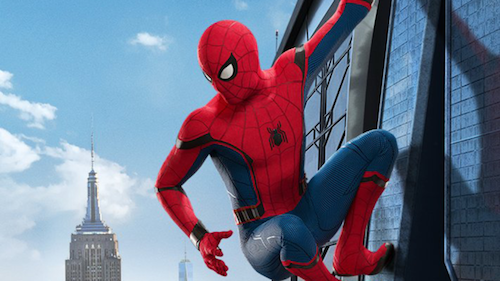 The new Spider-Man: Homecoming trailer dropped yesterday and features Peter Parker (Tom Holland) facing Vulture (Michael Keaton) with Tony Stark (Robert Downey Jr.) confiscating his Spider-Man suit. An hilarious cameo from Captain America (Chris Evans) is icing on the cake. There's a sense of momentum following Spider-Man's celebrated cameo in last year's Captain America: Civil War and news the beloved character will appear in Avengers: Infinity War. Sony has confirmed there'll be at least 3 Spider-Man movies within the Marvel Cinematic Universe (MCU). I'd suggest this remains the new status quo. Looking forward to Spider-Man: Homecoming? Let me know in the comments below. Lara Croft is no stranger to the silver screen. Angelina Jolie played the titular character to mixed reviews in Lara Croft: Tomb Raider and its sequel, Lara Croft Tomb Raider: The Cradle of Life, last decade. Now, Alicia Vikander (Ex Machina) assumes the mantle in a cinematic reboot following the recent critical and commercial success of the original video game franchise, which was in decline until Tomb Raider wiped the slate clean and deftly mixed movie inspirations in 2013. Actress Camilla Luddington breathed new life into the role with a script by acclaimed writer Rhianna Pratchett. "Being a longtime fan of the game, it’s important to me to honor the Lara Croft legacy and capture that spirit. It’s great to know that there’s such a passionate global fan base for Lara and her world, and our commitment to that will be evident in our movie. What’s different about this “Tomb Raider” movie is that it’s an origin story for the big screen, focusing not only on Lara’s strength and physical accomplishments but her humanity. We see Lara as a young woman, smart and capable but largely unfocused, and follow her on a dangerous journey that will push her to her limits in every sense, and allow her to hone the skills she needs to ultimately become who she was meant to be. As Lara Croft, Alicia Vikander is brilliant. She brings great depth to a complex role that is both physically and emotionally demanding. We hope this film will delight fans around the world and add another intriguing chapter to the Tomb Raider story." Tomb Raider, originally released on the ill-fated Sega Saturn, become synonymous with PlayStation in the mid 1990s, and I followed the franchise for several years, collecting merchandise in the process. Here was a female archaeologist possessing the chutzpah of Indiana Jones. Tomb Raider is released in theatres in March 2018. Looking forward to seeing Vikander as Ms Croft? Let me know in the comments below. In the wake of Star Wars: The Force Awakens' and Rogue One: A Star Wars Story's box office success. 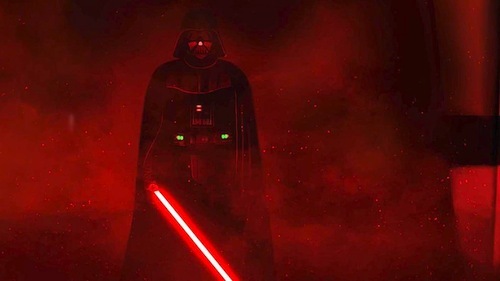 It's no surprise Disney plans to continue the Star Wars saga beyond a sequel trilogy. "We’re starting to talk about what could happen after Episode IX. About what could be another decade-and-a-half of Star Wars stories," Disney CEO Bob Iger said on Thursday during a talk to film students in Santa Monica. During the talk, Iger confirmed that The Last Jedi has not been altered in light of Carrie Fisher’s death last December. At the time there was speculation surrounding what impact it might have on the upcoming Star Wars sequel directed by Rian Johnson. "When we bought Lucasfilm, we were going to make three films — Episodes VII, VIII and IX," he said. "We had to deal with tragedy at the end of 2016. Carrie appears throughout VIII. We are not changing VIII to deal with her passing. 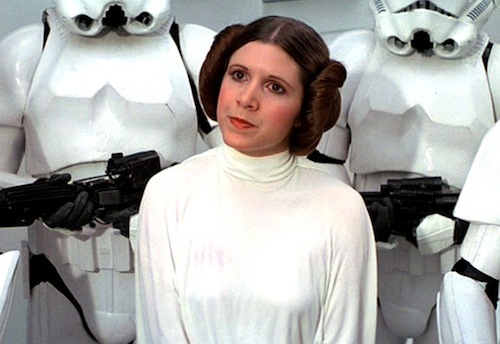 Her performance remains as it is in VIII. In Rogue One, we had some digital character. 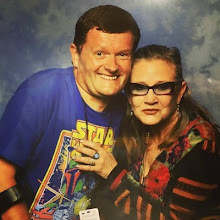 We are not doing that with Carrie." Looking forward to further adventures in a galaxy far, far away? Let me know in the comments below. Are directors Sir Ridley Scott and James Cameron seemingly in friendly competition at 20th Century Fox? Both are expanding their respective sci-fi franchises. Alien and Avatar will serve up a sequel avalanche over the next decade as the studio battles Disney with its Marvel Cinematic Universe (MCU) and Star Wars sequels. The latter once had pride of place at 20th Century Fox before the Mouse House bought Lucasfilm in 2012. 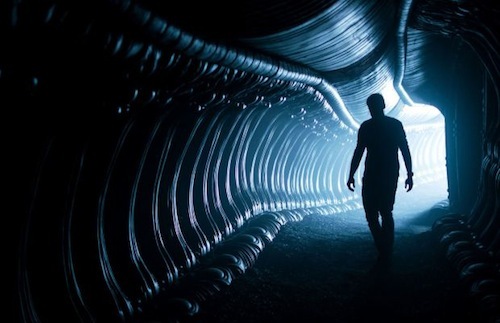 Speaking to Fandango, a booking site dedicated to film fandom, at SXSW Film Festival, Ridley Scott outlined his vision for four more Alien prequels. "It will go Prometheus, Awakening, Covenant.. fairly integral where this colonization ship is on the way...."
Presumably, the director meant Prometheus, Covenant and Awakening, which begins principal photography as early as 2018. 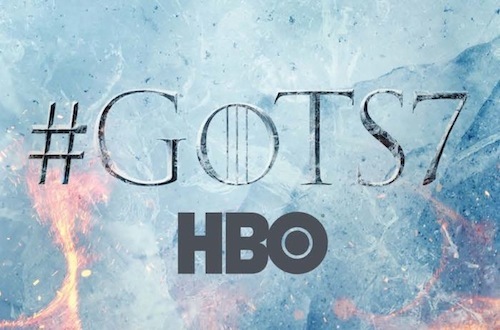 Actress Katherine Waterston called him out on potential spoilers. "You're giving away too much! ", she screamed. Will the franchise remain truly alien after six prequels? Let me know in the comments below. What follows are my initial impressions of Mass Effect: Andromeda first trial on EA Access. As I only finished the original Mass Effect trilogy - arguably one of the greatest space operas in any medium - a couple of weeks ago. Commander Shepard and the fabled crew of the Normandy are still fresh in one's mind. Andromeda seemingly has an identity crisis. At first blush it's a disparate mishmash of the original Mass Effect, Halo and Batman: Arkham franchises. Too familiar tropes and first contact degenerates into a firestorm with rock people before you draw breath. So much for the Prime Directive. 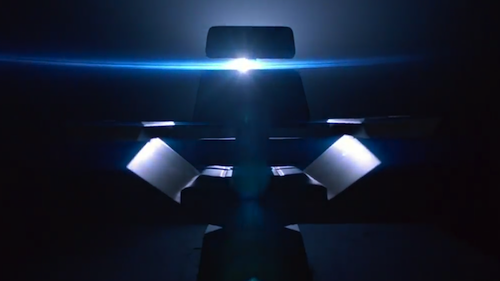 This is Star Trek funded by Cerberus. More on Cerberus later. There's a nagging feeling of The Phantom Menace, surrounding the opening act, in spite of a sense of awe I haven't experienced since playing Phantasy Star Online (PSO) for Sega Dreamcast. Why should I care about the fate of the main protagonist, and her crew, when the writers rushed the introduction and the role of Pathfinder doesn't feel earned? That said, I'm enjoying playing as female Ryder and there's plenty of fun callbacks to the original trilogy: from familiar soundtrack cues to sound effects and much more. Boarding the Tempest evoked emotions once reserved for the Normandy, USS Enterprise, Millennium Falcon and TARDIS. Appreciate the more nuanced dialogue options in Andromeda. Paragon and Renegade, inherited from Knights of the Old Republic (KOTOR), was perfect for Shepherd's war with the Reapers in the original trilogy. Amusingly, it's too easy to unintentionally start romancing other characters, and this levity is welcome in the first few hours of the game. At its heart, Andromeda should be about exploration and hope. Personally, I'm enjoying the banter with fellow crewmates at this early stage in the story. Liam, the most rounded member of the human crew, Peebee, a playful Asari, and Vetra, a female Turian capable of giving Garrus a run for his money, are the standouts thus far. SAM, your AI assistant, appeared to be an annoying incarnation of Halo's Cortana in various video clips I'd watched. 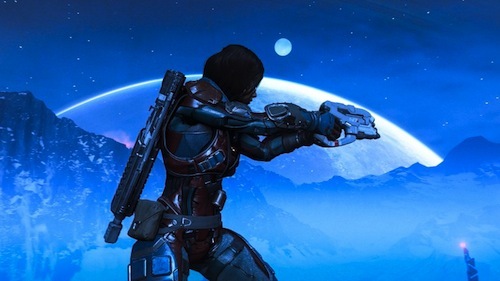 However, the backstory behind SAM's controversial development, begun by Ryder's father, on the Citadel, before embarking on the long journey to Andromeda, suggests a compelling mystery is in the offing. This is underscored by SAM and Ryder's rich interaction aboard the Nexus, headquarters of the Andromeda Initiative. It's worth noting the conflict between artificial intelligence and organics drove the narrative of the original trilogy and impending apocalypse. However, there's a hopefulness here that is channelled through my favourite character. Ryder herself. Fryda Wolff embraces the role with an aplomb worthy of Daisy Ridley as Rey in The Force Awakens. I can't speak to the male incarnation. The past couple of years I, like many other gamers, have suffered from open world fatigue, which Guerrilla Games' Horizon Zero Dawn deftly dodges. 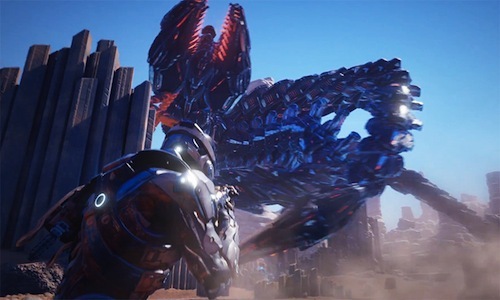 Andromeda appears to have a level of depth that may be just too overwhelming for some and is not in keeping with the franchise's legacy. Narrative fans may feel encumbered by crafting. The Witcher 3 remains atop my pile of shame as the notion of expending hundreds of hours playing a single game is too daunting a premise. The Mass Effect universe has never looked shinier. The Frostbite 3 engine has pedigree as evidenced by stablemates Battlefield and Star Wars Battlefront. There's a very rare pleasure in simply wandering around the Tempest and basking in its reflective beauty. The trial version includes the day-one patch. Hopefully, BioWare will support the game, post release, with the same fervor as CD Projekt Red. Art direction is uniformly excellent, just don't mention the humans and their Pingu lips. In 2017 it's inexcusable given Dragon Age: Inquisition, BioWare's other franchise, boasts superior animations and dates back to 2014. Humanities tech alludes to Cerberus, which feeds into a rumour that Cora is the Illusive Man's daughter. What gave Mass Effect 2 its edge was working with the enemy, lead by Martin Sheen's Illusive Man, propelling the game into The Empire Strikes Back of the saga. With that in mind, it's possible there'll be a twist to this tale of exploration leading to a chilling cliffhanger! Unless it's a self-contained installment, which I'm hoping it's not. Mass Effect, like Star Wars, warrants a sequel trilogy. The Mako was an infamous addition to the original Mass Effect and possessed all the finesse of a helium balloon with a gun strapped to it. My heart sank at the notion of more planetside traversal with its successor. The Nomad. However, the Nomad handles really well and your squad can disembark, with ease, to explore or exterminate at will. Whilst the combat system has been further honed since Mass Effect 2 and 3. The addition of a jet pack has lead to minutes lost frustratingly impacting against a wall, or cliff, that appears impassable as your squad mates look on from above, helplessly. I felt like telling them to get on with the mission whilst I returned to the comfort of the Tempest. Then there's the Kett. Rock folk who prefer to shoot first and ask no questions. If these are the big bad in Andromeda, then they're Z-List canon fodder compared to the Geth, Cerberus, Collectors and the godlike Reapers. 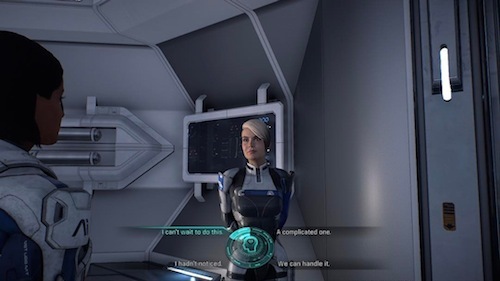 Much has been made of the inferior character models, especially female Ryder's default appearance. Meet Jyn 'Erso' Ryder. Whilst the customisation control isn't cutting edge, a few minutes tweaking settings, and with a little help from a YouTube tutorial, I was able to create Felicity Jones' likeness. It's odd that for all the secrecy surrounding Mass Effect: Andromeda, EA would enforce a piecemeal embargo that's culminated in the next installment imploding into nothing more than merciless memes mocking animations, online, within 24 hours. This is compounded in a month where The Legend of Zelda: Breath of the Wild and Horizon Zero Dawn have released to critical acclaim. The latter is Sony's most successful new IP launch in the history of PlayStation. Further to the above. Michael Gamble, producer of the original Mass Effect trilogy and Andromeda, has responded to criticisms on Twitter. "We appreciate the critiques (and memes! ), but I am very happy to see how much y'all like the game after 10 hours...and...it gets even better." Lastly. I did smile when FemShep was already selected as legend during character creation. BioWare, you get me! Are you playing the trial? Are you enjoying it, or do you want to see fixes before making a final decision to buy? Let me know in the comments below. During a panel at SXSW Frank Oz was asked whether or not Yoda would return in Star Wars: The Last Jedi? "I feel like I’m a prisoner at war here, and I can only give you my name, rank and serial number," Oz said. "To be true to the people who asked me, and they are kind of my family, I have to say I’ve been asked not to talk about it. I love Yoda. I would be happy to talk to you about it at the time they let me." A cryptic answer and one that suggests the beloved Jedi Master maybe seen on the big screen this December in director Rian Johnson's Star Wars sequel. Observant fans would have heard Yoda's voice during Rey's vision in The Force Awakens. This feeds into an Episode VIII theory, I postulated during Star Wars Celebration Europe, that we'll see Ewan McGregor reprise his role as Obi-Wan Kenobi on screen. His voice, blended with Sir Alec Guinness, can also be heard in The Force Awakens. It makes narrative sense, especially if The Last Jedi is centred around Luke training Rey a la Yoda training Luke in The Empire Strikes Back. 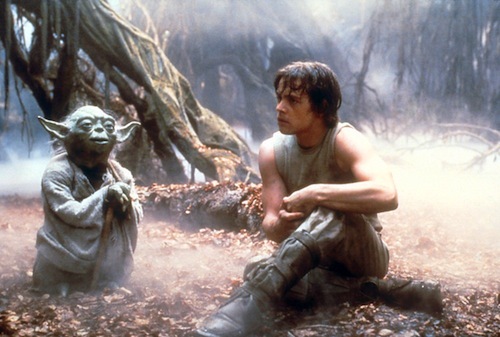 Frank Oz has previously reprised the role of Yoda in Star Wars Rebels on Disney XD. 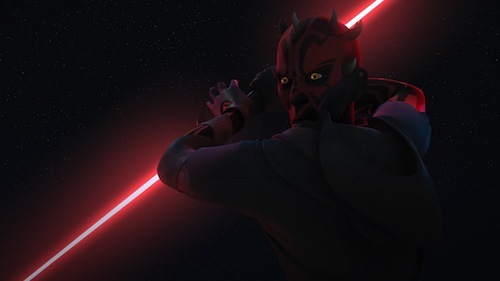 Obi-Wan Kenobi and Darth Maul duel in next Saturday's episode of Star Wars Rebels on Disney XD. It's no secret Star Wars: The Last Jedi continues directly from the cliffhanger ending of The Force Awakens. 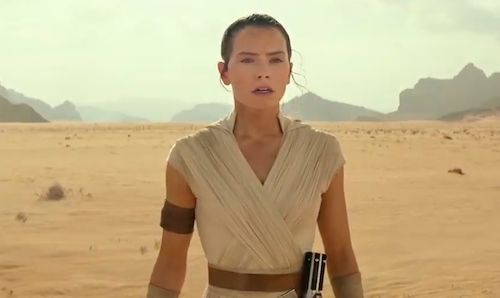 Rey (Daisy Ridley) has found a reclusive Luke Skywalker (Mark Hamill) in what appears to be a ruined temple. The first footage from The Last Jedi was exclusively shown to Disney shareholders at the company’s annual gathering in Denver. 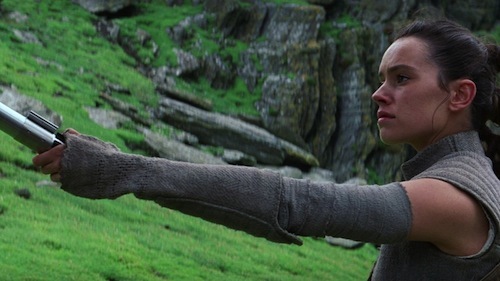 Luke Skywalker asks Rey: “Who are you?”, before she hands over his father's lightsaber. Other clips shown to the audience included Rey wielding a lightsaber, Chewbacca, Poe Dameron (Oscar Isaac), Finn (John Boyega) and General Leia Organa (Carrie Fisher) in military uniform. Director Rian Johnson's film is described as suitably epic, and The Force Awakens director JJ Abrams has suggested Mark Hamill may win an Oscar for his role as Luke Skywalker. Fans shouldn't have to wait too much longer for a first glimpse of The Last Jedi. A trailer is expected to premiere during a panel with director Rian Johnson and Lucasfilm president Kathleen Kennedy at Star Wars Celebration Orlando in April. Incidentally, Star Wars Celebration takes a break next year before returning in 2019 for the final installment in the Star Wars sequel trilogy. The Last Jedi is scheduled for release in cinemas on 15th December. 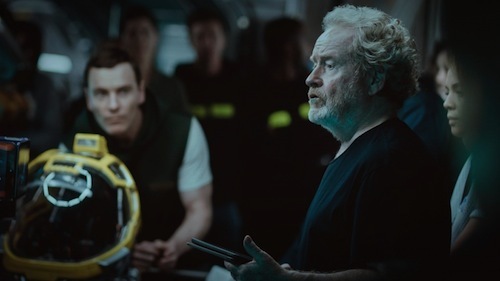 Director Ridley Scott recently confirmed to The Sydney Morning Herald that Alien: Covenant is the beginning of a new prequel series to Alien, and the next installment may start filming as soon as 2018. The article goes on to corroborate what many fans (myself included) expected. Prometheus is not a part of the new prequel series starting with Alien: Covenant. This reaffirms my suggestion Alien: Covenant is a soft reboot of the franchise. And could also explain why Neill Blomkamp's sequel to James Cameron's Aliens, thereby retconning Alien 3 out of existence, is on hold indefinitely. The Cybermen, created by Kit Pedler and Gerry Davis, have always been my favourite Doctor Who enemy. The cold cyborgs captured my nascent imagination in the pages of Marvel Comics' Doctor Who Weekly and the Target novelisation of The Tenth Planet. I'd pore over enigmatic black and white photos from The Moonbase to The Invasion, and spend hours drawing the mechanical menace. The surprise return of the Cybermen in Earthshock, cemented their status forever, and was the stuff of playground legend. So, news of the impending return of the Mondasian originals, from 50 years ago, has piqued my interest. Despite fond childhood memories of reading The Tenth Planet; I've yet to watch the original serial on DVD! Another chink in my so-called Whovian armour. The Mondasian menace will appear, alongside Missy (Michelle Gomez), in the two-part finale for season 10, which is currently being filmed in Cardiff with director Rachel Talalay at the helm. Talalay is no stranger to Doctor Who and it bodes well for an exciting end to the upcoming season. Peter Capaldi and Steven Moffat both exit the series this Christmas. 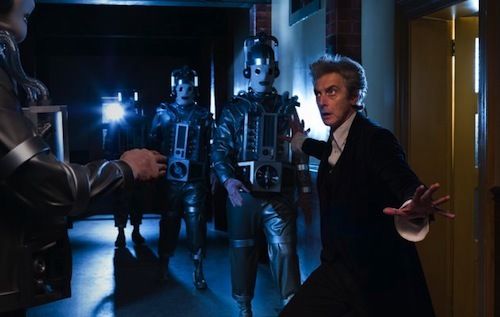 And the appearance of the Mondasian Cybermen fulfils a personal wish Capaldi has had for sometime. Doctor Who returns to television screens 15th April. Star Wars Rebels will return to Disney XD later this year. Set between the events of Revenge of the Sith and A New Hope. 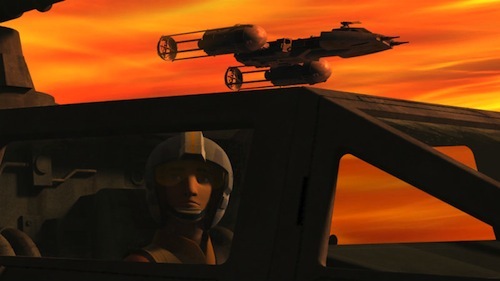 Star Wars Rebels has continued to build on its Cartoon Network predecessor The Clone Wars: forming the connective tissue between the prequel and original trilogies. Last December I got goosebumps seeing the Ghost in Rogue One: A Star Wars Story. The crew of the Ghost have eluded the Grand Inquisitor, Darth Vader, Grand Moff Tarkin and Grand Admiral Thrawn. But for how much longer? Looking forward to Star Wars Rebels season four? Let me know in the comments below. 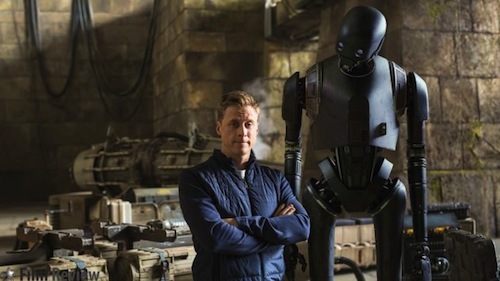 K-2SO (Alan Tudyk) stole the show in Rogue One: A Star Wars Story and Lucasfilm's John Knoll took to the stage, at the Game Developers Conference (GDC), to demonstrate how the caustic droid was fully rendered in real-time. The technique was developed by a team at ILM, modifying Unreal Engine 4’s source code from developer Epic Games. Epic's Tim Sweeney was ecstatic. Rogue One was nominated for Best Visual Effects at the Oscars, but lost out to stablemate, and worthy winner, The Jungle Book. Last week 20th Century Fox released an official prologue to director Ridley Scott's Alien: Covenant - Last Supper - that riffed on an infamous, and iconic, scene from the original Alien starring the late John Hurt. 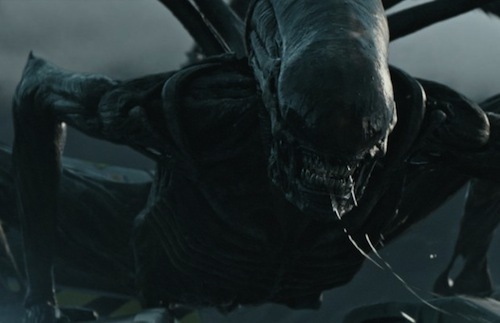 Now, a new trailer unleashes the full force of Hollywood's feared xenomorph. Alien: Covenant is a sequel to Prometheus chronicling a crew in search of paradise. I'm hoping it'll do for the Alien franchise what Rogue One did for Star Wars. Spectacularly dovetailing into the much-loved original. 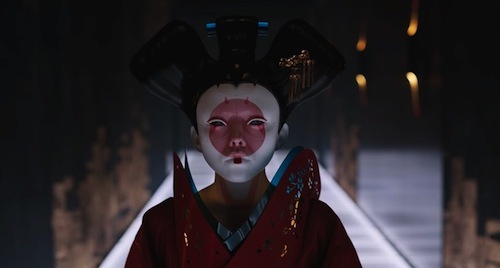 The film, which opens in theatres this May, stars Michael Fassbender (reprising his role as the robot David), Noomi Rapace (reprising her role as Dr. Elizabeth Shaw), Katherine Waterston, Danny McBride, Billy Crudup, Guy Pearce and James Franco. Looking forward to seeing xenomorphs back on the big screen? Let me know in the comments below.